Orthodontics is that branch of dentistry which specializes in the diagnosis, prevention and treatment of problems in the alignment of teeth and jaws. The technical term for these problems is malocclusion, which literally means bad bite. Orthodontic treatment involves the design and use of corrective appliances (such as braces, plates, head gears and functional appliances) to bring the teeth and jaws into proper alignment. What are the different orthodontic problems? 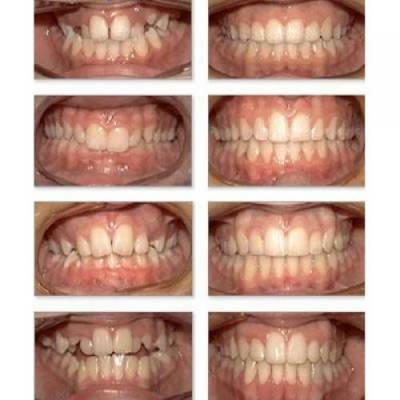 There are several varieties of teeth alignment problems. What should be expected at the first orthodontic appointment? At the first visit, a detailed examination of the oral cavity with importance on below mentioned factors is done. Based on all these studies, the orthodontist would discuss about the necessity of the treatment, if needed, the type of treatment suitable for that individual. When to start orthodontic treatment? It is advised to have the first appointment with the orthodontist by the age of seven. Early examination helps in detection of developing orthodontic problems which can be best corrected using the growth potential in children. Early examination also helps to recognize the oral habits & their effects on growth of jaws & teeth eruption. Habit restrainers at this age would prevent development of complications in jaw & facial bone growth. Early treatment makes treatment at a later age shorter & less complicated. Removal of selected milk teeth to create space for eruption of permanent teeth at their designated place. In case of early loss of milk teeth maintenance of space created by them till the permanent teeth erupt in proper position. The common practice of correcting bad bites and teeth crowding, is to wait till all permanent teeth erupt. It was often necessary to extract four permanent teeth to correct the bite when growth was nearly complete. In cases with short or too big jaws, the profile correction was often limited because of the lack of growth. Interceptive orthodontics is a more recent concept where certain problems are treated early (around age 7-11) to take advantage of growth. Better profile and facial aesthetics. In this concept, orthopedic appliances are used that guide jaw growth to ideal levels thus allowing the permanent teeth to erupt in their proper places reducing teeth crowding or other teeth alignment problems. 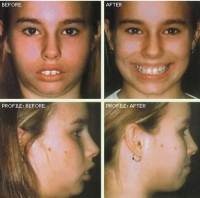 This specialty of orthodontics is known as Dentofacial orthopedics. What is two phase orthodontics? There is not enough room for all the teeth to erupt. 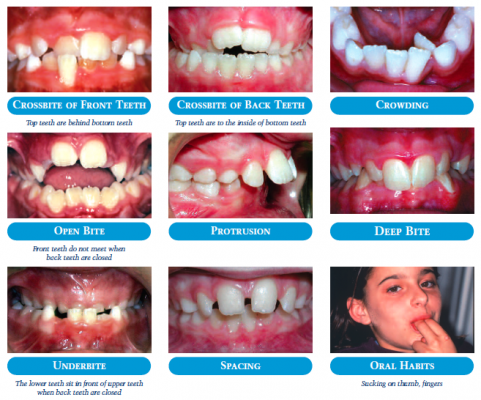 Two phase orthodontics is a special approach to treat these problems. Growth discrepancies are taken care of. This is done at the age of 7-12 years for the child. 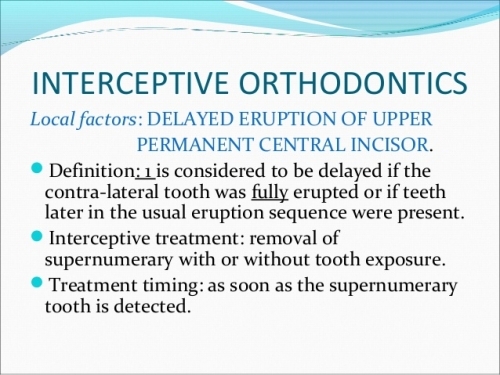 This is also called interceptive orthodontic treatment. This phase is followed by resting period when rests of the permanent teeth are allowed to erupt. Irregularities in the teeth alignment are corrected. This phase of treatment is initiated after the eruption of permanent teeth. 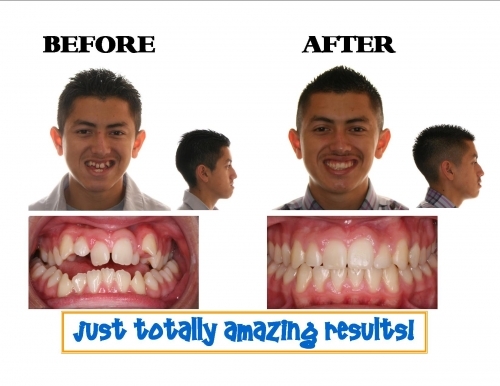 This is comprehensive orthodontic treatment. 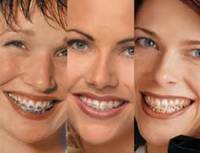 Fixed braces are fixed over teeth for proper teeth alignment. 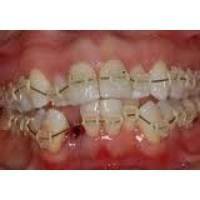 Two phase orthodontics helps in preventing lot of growth related issues which otherwise need surgical intervention at a later age for correction. What is first phase Orthodontics? The goal of First phase orthodontic treatment is to develop the jaws in order to accommodate all the permanent teeth and to properly relate the upper and lower jaws to each other. Because children are growing rapidly, they can benefit enormously from an early phase of orthodontic treatment utilizing appliances to direct the growth relationship of the upper jaw to the lower jaw.Thus, a good foundation can be established providing adequate room for the eruption of the permanent teeth. Orthodontic records will be necessary to determine the type of appliances to be used, the length of treatment, and as baseline information since the shape of the jaws will be altered. Records consist of models of the teeth, X-Rays, and photographs. The permanent teeth are allowed to erupt in between the 1st and 2nd phases. Growth is monitored during this Transition Period. Retainers are worn to maintain the result of the 1st phase until interferences with eruption of the remaining teeth is observed. A successful 1st phase will have created room for the permanent teeth to find a favorable eruption path. Otherwise, impaction or severe displacements of teeth are possible. Remember that at the end of the 1st phase the permanent teeth are not in their final positions. This is because there are usually up to 16 permanent teeth that have yet to erupt that we have no control over. Thus, the final positions of the teeth will be determined and accomplished in the 2nd phase of treatment. It is important to continue observation of the erupting teeth and the frequency of appointments varies from person to person. What is Second Phase Orthodontics? The goal of the second phase of orthodontic treatment is to place the teeth into equilibrium such that they will function together properly, be healthy, and look attractive. Each tooth has a location within the mouth where it is in harmony with the lips, cheeks, tongue, and other teeth. As was the case in the 1st phase, orthodontic records are necessary to establish the appropriate diagnosis and treatment plan. This 2nd phase is usually initiated once all the permanent teeth have erupted and usually requires braces on all the teeth for a period of time ranging from 12-18 months. Two phase orthodontics involves changing jaw structure and jaw relationship to create a more favorable environment for the eruption of a full permanent dentition. Potential advantages to this approach are a reduction of the overbite or under bite, allowing for more normal future jaw development, and the possibility that future treatment may not be needed. What are the different braces available? What are the components of braces or fixed orthodontics? 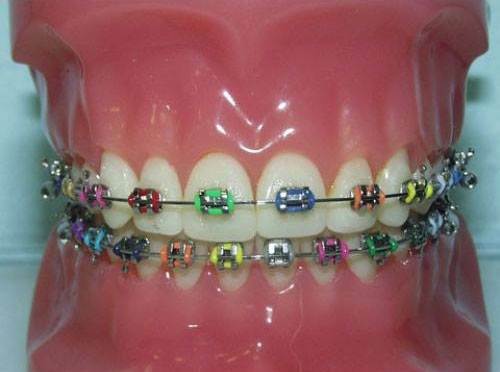 Braces can be of different materials. They can be of metal, or tooth colored composite or ceramic material. 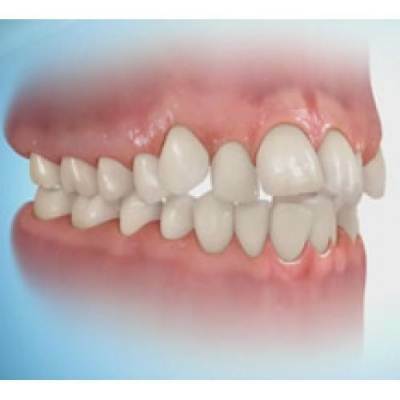 Clear/Invisible aligners-These are clear aligners which can be removed by the patient and are invisible.These aligners are custom fabricated, are in series and are delivered to the patient for wearing. Braces or brackets are attached to the front surfaces of teeth. These can be of metal or of tooth colored ceramic material. Bands are metallic rings fixed over the molars for anchorage. 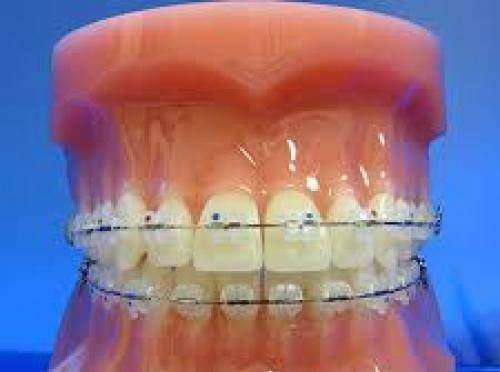 Arch wire is the wire that passes through the brackets & is the active component in braces. 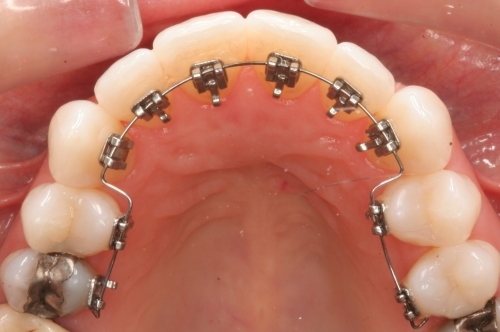 This arch wire moves the crooked teeth into their desired positions. 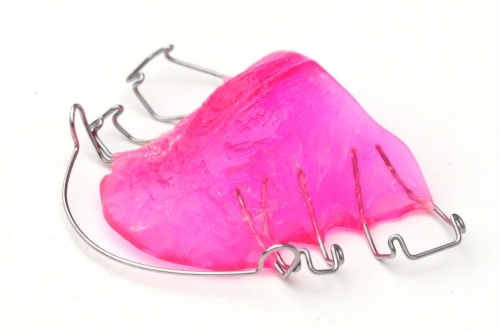 Retainers are appliances that are given to patients post fixed orthodontic procedure. Retainers restrict movement of teeth to their earlier position,stabilize them in their new places till jawbone forms around their roots. 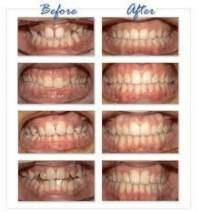 They are usually suggested for 6-10 months after removal of fixed braces. Removable retainers are the most common type of retainers. They are made of acrylic (plastic) plate and stainless steel wire. They are custom prepared for each individual. 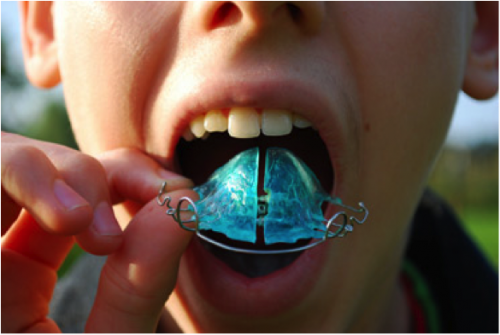 Removable retainers should be usually worn for at least 6-10 months. These retainers hold the teeth in their new position. 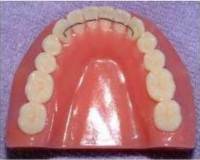 What is a fixed retainer or bonded retainer? 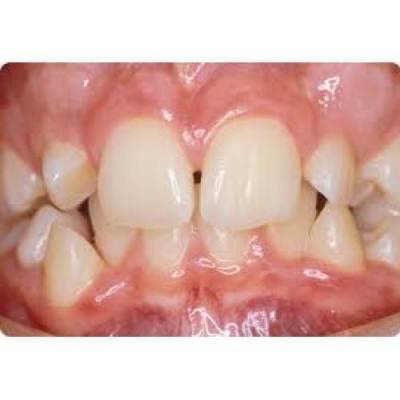 A fixed retainer is fixed on the inner surfaces of front teeth. They neither affect speech nor food intake. 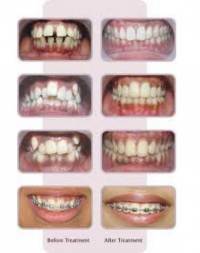 Fixed retainer is invisible to the world and hence is easily accepted by the patients. Orthodontic treatment isn't just for kids anymore. Teeth can be straightened at any age if your gums and bone structure are healthy. Everyone wants a beautiful and healthy smile. For adults the treatment might take longer period for achieving desired results than for children. It might vary anywhere between 14-30 months. Just as orthodontics repositions teeth, surgical orthodontics (also known as orthognathic surgery) corrects jaw irregularities to improve the patient's ability to chew, speak, breathe, and for improved facial appearances. In other words, surgical orthodontics straightens your jaw. Moving the jaws also moves the teeth, so braces are always performed in conjunction with jaw correction. This helps make sure teeth are in their proper positions after surgery. 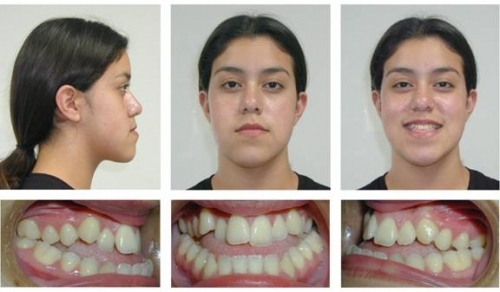 Surgical orthodontic treatment is advised for non-growing adult patients with improper bites and those with facial aesthetic concerns. Jaw growth is usually completed by age 16 for girls and 18 for boys. All growth must be completed before jaw surgery can be performed. However, the Pre-surgical tooth movements can begin one to two years prior to these ages. Lingual orthodontics is the orthodontic procedure where the braces and other components are placed on the inside of the tooth surface (Towards teeth) making them invisible to the outer world. Thus this appliance is suitable for celebrities or for people who are public personalities wherein the appearance is of bigger concern. Lingual braces function pretty much similar to conventional braces, but the components are custom fabricated using CAD CAM and robotic wire bending technology. The brackets are fixed over the inner surfaces of teeth with the help of applicator trays. Body requires close to 30-40 days to overcome all these challenges and to lead a normal ife. Why do you need to align or straighten your teeth? Abnormal & accelerated wear of teeth leading to sensitivity & ultimately teeth loss. Improper teeth alignment can also affect the health of jaw joints in the long run. Crowding of teeth can make hygiene maintenance tough. What is the treatment for crowded teeth? A disharmony between size of the jaws & size of teeth can lead to teeth crowding. Crowded teeth are unattractive to look at , are difficult to maintain & are prone to abnormal wear. With orthodontic treatment teeth can be well aligned. Sometimes it might require removal of some teeth to create space for proper alignment of rest of the teeth in a stable & harmonious position within the jaws & face. what is the reason and solution for spacing between teeth? Incompatibility between the size of the jaws & of teeth can lead to spacing between teeth. It can also be due to habits like tongue thrusting wherein teeth are being pushed by the tongue. Spaces between teeth make the smile unattractive.With orthodontic treatment, spaces can be closed and ideal smile achieved, but such cases usually require permanent retention. 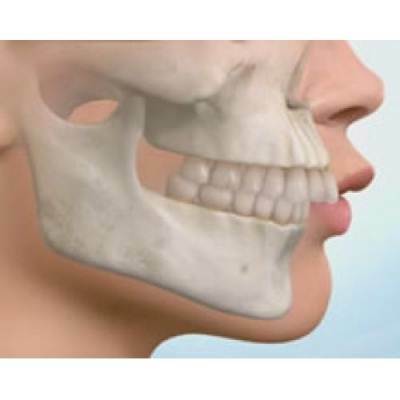 Teeth protrusion is usually seen when the upper jaw is placed forward compared to the lower jaw. This can also result from the prolonged habit of biting lower lips during growth. Because of this habit, growth of lower jaw is inhibited & upper teeth are placed forward. 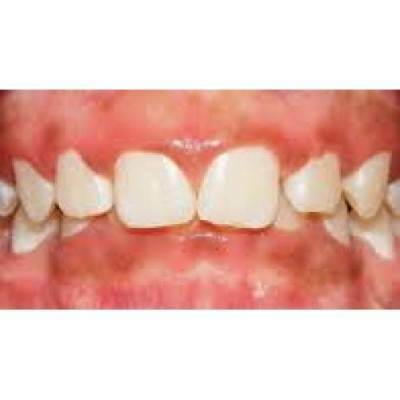 These teeth are unattractive & are easily subjected to injuries. In these patients lower front teeth over erupt to contact upper teeth. This can lead to abnormal wear of these teeth. Best time to treat these cases is during growing period but appreciable results can be obtained with treatment at later age. Why teeth need to be removed during orthodontic treatment? Removal of teeth is advised only in conditions wherein the jaws cannot accommodate all the permanent teeth in the normal arch form. 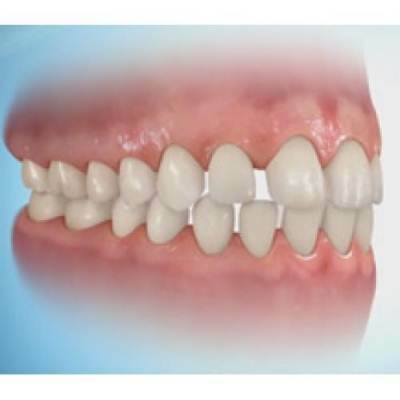 The space created by teeth removal is used to align rest of the teeth in proper arch form. Usually first or second premolars are the teeth of choice for removal. These spaces get closed by the end of treatment. Orthodontic treatment is highly individualized and at times other teeth might have to be removed to achieve desirable results. Orthodontists might also suggest removal of impacted third molars.